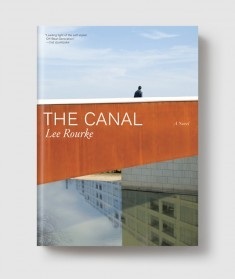 Lee Rourke’s The Canal pitches a contemporary ‘man without qualities’ into a London landscape of sparkling detritus, comforting wornness and the gut-wrenching, inside-hollowing mutilations of redevelopment. Across a trash-magical landscape Rourke’s hollowman courts and stalks a far more powerful figure than himself: as obsessive and enigmatic as she is melodramatic, as casually deathly as she is instinctively self-sacrificing. Rourke’s great achievement is to give the everyday objects of his novel as much crazed-drive and poignant helplessness as his two central characters. “It is only as that point, when space becomes a thing to us, that we truly feel real. Thing is: I don’t feel real, and yet the space had become a thing to me…” It is in the grating of such humdrum contradictions that Lee Rourke ignites an unhinged melodrama of innards-shrinking power. His prose is quotidian, measured and sneaky; he creeps up on his readers. A gentle assemblage of description, studied and laboured chatter, or a melancholy reflection can all jerk, coalesce or slump – then rugs are pulled away, supports vanish, erosions abruptly accelerate, and the reader finds themselves subject to The Canal’s gravity: the pull of a seductive ‘boredom’. If that sounds tedious then The Canal will defy all your expectations. From its first deceptive arbitrariness, to its final split-second transcendence. Full of fables, it’s fabulous.